READ THIS CONTRACT BEFORE ACCESSING WEBSITE, NEWSLETTERS OR PODCASTS. You have reached a website owned or operated by or on behalf of Westin Consulting, LLC, d/b/a Lawgical (for purposes hereof, Westin Consulting, LLC, along with its current or future subsidiaries, affiliates and/or parent companies, is referred to herein as “Lawgical”). Lawgical websites and properties include, without limitation and among others, “LegalTalkNetwork.com”, “AboutBail.com”, “PInow.com”, “ServeNow.com”, “Lawgical.com”, “ProcessServers.com”, “BailBondsCa.com”, “ServeMatch.com”, “InvestigatorMatch.com”, “ServeManager.com”, “BailMatch.com”, “CollateralMag.com”, “iProcessServers.com”, “FindPIs.com”, “PublicRecordsWire.com”, “BailLaws.com”, “BailInsurance.com”, “LegalTalkNetwork.com”, our newsletters “BailReport”, “Serve Report” and “PI News Round-Up”, and our podcast “LegalTalkNetwork” (as applicable, and whether plural or singular, the “Site”). Unless otherwise noted, all materials, including, without limitation, audio, video or audio/video clips (which, for purposes of this Section 2 shall include podcasts), images, graphics, logos, illustrations, designs, icons, print (which for purposes of this Section 2 shall include newsletters), photographs, creative and/or written text that appear as part of the Site(s) (collectively, the “Contents”) constitute, as applicable, copyrights, trademarks, trade dress and/or other intellectual properties owned, controlled or licensed by Lawgical. Whether or not there is a copyright notice on the Site(s), you agree that, by using a Site, the Site as a whole is protected by copyright and trade dress, of which all worldwide rights, titles and interests in and to are owned by Lawgical. Your use of information on the Site or materials linked to the Site is entirely at your own risk. We do not warrant or guarantee the accurateness, completeness, adequacy or currency of the information contained in or linked to the Site. While we take numerous steps to validate the qualifications of the members within our trusted network that advertise on the Site, we recommend you perform your own investigation and due diligence on these references, including by, for example, checking references of companies displayed on our Site with the Better Business Bureau before making any decision to retain one of the service providers displayed on the Site. To the extent that a Site contains links to outside services and resources, the availability and content of which Lawgical does not control, any concerns regarding any such service or resource, or any link thereto, should be directed to the particular outside service or resource. Information contained on or made available through the Site is not intended to, and does not, constitute legal advice and no attorney-client relationship shall be created as a result of your use. Other than our Members’ profile information relating to their business(es), all comments, feedback, postcards, suggestions, ideas, and other submissions disclosed, submitted or offered to Lawgical, whether on or via a Site, or otherwise disclosed, submitted or offered in connection with your use of a Site (collectively, “Comments”), shall be and remain the property of Lawgical. Such disclosure, submission or offer of any Comments shall constitute an assignment to Lawgical of all worldwide rights, titles and interests in all copyrights and other intellectual properties in the Comments. Thus, Lawgical will own exclusively all such rights, titles and interests therein and shall not be limited in any way in its use, commercial or otherwise, of any Comments. Lawgical is and shall be under no obligation (i) to maintain any Comments in confidence; (ii) to pay to user any compensation for any Comments; or (iii) to respond to any user Comments. The following terms contained in this Section 11 shall solely govern the Members participation in the trusted network of service providers displayed on the Site as well as paying for advertising. Member agrees that these terms will govern his, her or its participation as a member in the Lawgical trusted network via which Member will display its business profile and/or related information via the Site and/or Lawgical’s content distribution network and/or as an advertiser (the “Advertisement”) and any “Collateral Information” (as defined below) to Lawgical for placement on Lawgical’s Sites. Members may, but are not required to, consent to additional terms contained in a Quote, either electronically or in writing which may contain: (a) the nature and scope of the Membership and/or Advertisement, (b) the rate for such Membership and/or Advertisement; (c) whether the Membership and/or Advertisement will be paid for on a month-to-month basis (a “Monthly Payment Method”) or paid in advance for a one year term (an “Annual Payment Method Advertisement”); (d) the start date, and for Annual Payment Method Advertisements the end date, of the campaign concerning the Advertisement and (e) any other relevant description of the Advertisement and associated campaign. Rankings and placement of any Advertisement may be changed at any time and will not be guaranteed. Acceptance of a Quote by Lawgical will be made upon written or electronic approval of the Quote by Lawgical and/or the display of the first ad impression by Lawgical, unless otherwise agreed upon in the IO. With respect to any Member’s paid advertising on the Site, in the event of a conflict between the terms of Section 11 and any other Section of the Terms of Service, Section 11 shall govern. 11.2 Representation. The Member represents that the Member has the authority to enter into this Agreement, and that it is the owner of the entire contents and subject matter contained in the Advertisement, or is licensed to use the entire contents and subject matter contained in the Advertisement and collateral information, including, without limitation to the names and/or pictures of persons, any copyrighted material, trademarks, service marks, logos, and/or depictions of trademarked or service marked goods or services, any testimonials, descriptions or endorsements contained in any Advertisement submitted to Lawgical (collectively, the “Collateral Information”). Member hereby grants to Lawgical a nontransferable, nonexclusive, worldwide royalty-free license during the term of this Agreement, solely for the purpose of performing this Agreement, to (a) copy, store, use, publicly display, and transmit the Advertisement (including the Collateral Information), and (b) display Member’s trademarks and logos contained in the Advertisement. 11.3 Misleading Advertisement. The Member shall not include any advertising on Lawgical web page that is misleading, unfair or deceptive, or that otherwise does not comply with all applicable laws and regulations. The Member shall indemnify Lawgical and hold Lawgical harmless against all Losses arising out of the Member’s breach of this clause. 11.4 Advertising Materials. It is Member’s obligation to submit the materials for each Advertisement (defined as artwork, active URL’s and active target site) in accordance with Lawgical’s existing criteria or specifications (including content limitations, technical specifications and material due dates) as defined by Lawgical to Member. Any specifications stated on any Quote supersedes any posted or formally discussed specification. If advertising materials are late, Member is still responsible for the advertising purchased. Lawgical reserves the right, within its discretion, to reject any materials received in connection with any Advertisement that do not comply with its policies, criteria, specifications, or any applicable law. If material provided by Member is damaged or otherwise unacceptable to Lawgical for any reason, Lawgical shall notify Member of the deficiencies in the materials, and unless revised to Lawgical’s satisfaction, Lawgical shall have the authority to unilaterally terminate this Agreement. 11.5 Limitation of Liability. Lawgical’s liability in connection with this Agreement and the publication of Advertisements by or on behalf of Lawgical will be limited to the fees paid by Member under this Agreement. Lawgical’s inability to perform any of its obligations under this Agreement due to equipment failure, periodic maintenance, or any cause beyond Lawgical’s control, including interruption of transmissions, viruses, network congestion, or any other cause, will not constitute a breach of this Agreement, and Lawgical’s obligations hereunder will be suspended during the time period during which any such force majeure event occurs. If Lawgical is unable to place the Advertisements in accordance with the agreed description in the Quote because of any act or omission by Member or Member’s agents, Lawgical will still be entitled to full and timely payment of all fees relating to such Advertisements. In no event will Lawgical be liable to Member for any lost revenues or profits, or any incidental, consequential, special, or punitive damages arising out of this agreement or its termination. 11.6 Payment/Credit Cards. Member agrees to pay all fees, agency commissions and taxes related to the placement of the Advertisements on the Site set forth in the Quote on the date the order is placed for both Monthly Payment Advertisements and Annual Payment Method Advertisements, and with respect to Monthly Payment Method Advertisements only, thereafter on the first day of month during each month this agreement remains in effect; provided, however, in all cases Lawgical retains the right to adjust its rates upward periodically. The preferred manner of payment will be to bill the credit card of the Member using the credit card information furnished by the Member on the Quote (both for the initial payment and any applicable subsequent monthly payments); provided, however, if payment is not received within 7 business days of its due date, Member’s credit card is cancelled, the information furnished by the Member with respect thereto changes without prior notification to and acceptance thereof by Lawgical, or Member’s credit rating becomes questionable, Lawgical, at its option, may immediately terminate the Agreement. In the event that Member pays any amounts due hereunder with a credit card and the issuer of the credit card fails to pay the amounts authorized by Member, Member shall immediately remit full payment to Lawgical plus any interest due on the outstanding amounts, calculated at the rate set forth below. In addition, if Member pays any amounts due hereunder with a credit card and the issuer of the credit card seeks to recover from Lawgical any amounts received by Lawgical from the issuer, Member shall immediately remit to Lawgical all amounts necessary to comply with the issuer’s request and any costs and expenses incurred by Lawgical. At all times, Member shall be liable to Lawgical for all legal fees and costs and other costs of collection fees from Member or arising out of or related to disputes involving the Member or its credit card issuer. Interest will accrue on any past due amounts at the rate of one per cent (1%) per month, but not in excess of the lawful maximum. Lawgical shall have the right to hold the Member and/or its agency or agent jointly and severally liable for all amount due concerning any of the foregoing matters. In the event a Member terminated his, her or its relationship with Lawgical, Lawgical has a right to charge a reinstitution fee to reinitiate such membership. 11.7 Term/Termination. The term of membership under this Section 11 shall continue in effect for the term defined in the IO, unless earlier terminated by Lawgical by giving Member thirty (30) days’ written notice of its intent to terminate. Further, Lawgical may immediately terminate this Agreement and remove the Advertisements from the Site if (i) Member has breached the terms of the Terms of Service or IO, (ii) Lawgical reasonably believes that such Advertisements violate any of Member’s representations under this Agreement, (iii) Member has received complaints from End Users, or (iv) if required as a precondition to the sale of Lawgical or any of its Sites to a third-party purchaser or for any other reason determined by Lawgical. Member may cancel this Agreement as it pertains to any Monthly Payment Method Advertisement at any time with a 30 day written notice to Lawgical 11693 San Vicente #910, Los Angeles CA, 90049 or by email [email protected] Member may not cancel an Annual Quote under any circumstances prior to the end of the term of his, her or its Membership. Member will be contacted prior to the end of annual agreement regarding renewal. During the term of any such Quote and for one year after, Member shall not offer, or assist any others in offering, employment to any employee or attempt, directly or indirectly, any employee from terminating his or her employment with Lawgical. 12.1 Pricing. The following terms contained in this Section 12 shall solely govern End Users’ use of the Lawgical property, ServeManager, located at the URL: http://www.servemanager.com (“SM Site”). ServeManager is made available on a pay-as-you-go basis. End Users may try ServeManager risk free for thirty (30) days which may be extended in Lawgical’s sole and absolute discretion (the “Trial Period”). End Users may or may not be required to provide a credit card for the Trial Period, but will be required to provide one if they elect to continue with a paid plan after the Trial Period. The paid plans and corresponding monthly rates can be found on the pricing schedule under the “Pricing” tab on the SM Site. Among other factors, monthly rates are determined by End User’s number of jobs per month. By providing a credit card and electing a paid plan, End User acknowledges and agrees that End User’s credit card will be charged the applicable rate in advance on a monthly basis and will continue to be billed every month thereafter until End User cancels the service by contacting customer service. 12.2 Data and Cancellation. End User understands that all information, data, text, software, graphics, messages or other materials (“Data”) are the sole responsibility of the person from which such Data originated. Lawgical reserves the right, but shall have no obligation, to pre-screen, flag, filter, refuse, modify or move any Data available via ServeManager. End User understands and agrees that Lawgical is not responsible for any sensitive Data that End User shares with others in any upload, post, transmission or other format whatsoever via ServeManager. In the event of cancellation, End User acknowledges and agrees that Lawgical may retain all Data transmitted or uploaded through ServeManager. However, End User may request release or deletion of the Data, in some circumstances. To the extent End User has shared Data with another party using the SM Site, such Data cannot be deleted by Lawgical. In addition, Data cannot be deleted by Lawgical when a third party process server (“Third Party Server”) is used. End User understands and agrees that job requests transmitted through ServeManager may be forwarded to a Third Party Server for processing. The Third Party Server may add notes, data, service attempts or other job related information to the job request. In such case, the information in the job request belongs to both Lawgical and the Third Party Server and, consequently, the job request, including End User’s Data, cannot be deleted by Lawgical. In situations where Data can be deleted by Lawgical and End User requests deletion of his/her Data, End User understands and agrees that the Data will be deleted in a reasonable amount of time and once deleted it cannot be recovered. 13.2 Purchasing a Leased Domain Name – Please contact Lawgical if you would like to purchase a leased domain name. 14. Terms for Podcast End Users. Disclaimer – Lawgical is not a law firm. The podcasts, links, comments and other materials and information on a Site are made available for informational purposes only and should not be considered legal advice on any matter. If you are a consumer seeking legal advice please consult an appropriate attorney in your area. You must be an individual consumer residing in the United States. You must not use a podcast for a business or commercial purpose, to generate income or revenue for yourself, or to direct visitors from our Site(s) to any other website or from any other website to our Site(s). You must be at least 13 years old to use a podcast. By using the podcasts, you are acknowledging that you are at least 13 years old. International Use – Lawgical does not make any representation that use of our podcasts is appropriate or available for use in locations outside of the United States. You are prohibited from accessing the podcast Site(s) from countries or territories where its content or use is illegal. If you access our podcast Site(s) from locations outside the United States, you do so at your own risk and are responsible for compliance with local laws. 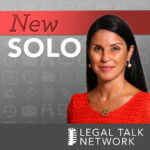 Modifications and Interruption to Podcasts – Lawgical reserves the right to modify or discontinue the podcasts with or without notice to an End User. Lawgical shall not be liable to any End User or any third party should Lawgical exercise its right to modify or discontinue a podcast. You acknowledge and accept that Lawgical does not guarantee continuous, uninterrupted or secure access to our podcasts and operation of our podcasts may be interfered with or adversely affected by numerous factors or circumstances outside of our control.